Do you remember the Marvel Swimsuit Specials? Of course you do. Marvel published a number in the nineties. It was a different age. 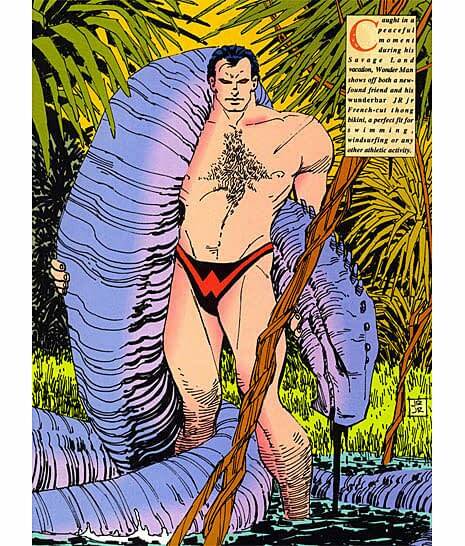 Marvel characters posing in swimsuits in oversized glossy pages from the likes of Jim Lee, John Romita and Adam Kubert. And, for a change, somehow a Marvel Comics publication that had more female characters in it than male. Who’d have thought? Is it just me or does the bottom half of Tabitha’s bikini resemble one of Cable’s shoulder pads?